Toku Reo Toku Hari! Toku Reo Toku Mana! My language makes me happy! My language is who I am! Take your students, co-workers or family on a road trip around Aotearoa. On the journey they will learn to recognise and name twenty well known New Zealand towns and cities in Te Reo Māori. 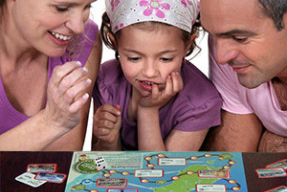 This board game was designed with educators in mind, combining language, geography and strategic thinking in a fun and interactive way. ...in a fun and interactive way. This starter kits contains games and activities to assist you to introduce and reinforce Te Reo Māori basics, designed to engage the whole class or for work in small groups and pairs. Put an end to hours spent making your own resources. Easy step-by-step learning process for your students. Target all three modes of learning: visual, auditory and kinaesthetic. Playing language games provides the necessary social interaction which is important for second language learners. It not only helps develop conversational skills but also helps build confidence in speaking a foreign language. The language games are specially designed for teachers to use in the classroom and in small group situations. They are also ideal for beginner language students to use individually and at home, to speed up the learning process and consolidate knowledge. 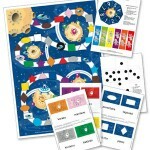 Each language game comes with an MP3 sound track and additional FREE teaching and learning aids to accelerate learning. When you purchase one of our products you can download a selection of additional resources from the product log-in area of our site - at no extra cost. 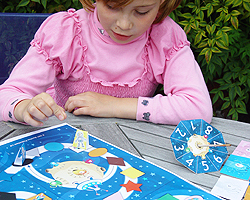 Exceptional learning value that you won't find with any other language games of this quality.